PARLIAMENT – Officials from Bank of Uganda and MPs on the Committee of Commissions, Statutory Authorities and State Enterprises (COSASE) were treated to a dramatic episode when Juliet Adikot, the bodyguard to former Bank of Uganda (BoU) Executive Director for Supervision, Justine Bagyenda protested her appearance before the Committee saying, Parliament has no powers to summon her. Adikot had been summoned by COSASE to provide responses to the role she played when the Bank of Uganda CCTV cameras captured her carrying suspicious bags out of the Central Bank in total breach of the Bank’s security. However, when asked to take oath, Adikot first protested doing so, citing the Police Standing Orders she said bar her from appearing before any Committee or courts of law without the authorisation of the Inspector General of Police. However, Adikot who chose to introduce herself as the Aide to Bagyenda pleaded not to say anything, to which Katuntu obliged on condition she first takes oath. Adikot will now appear before a select Committee led by Francis Takirwa (UPDF Representative), Andrew Aja (Kabale Municipality), Nathan Itungo (Kashari County) and Betty Muzanira (Rukungiri Woman) who will question other BoU officials, Charles Omoro, Job Turyahebwa (Bagyenda driver) and Beatrice Kyambadde Security Assistant who manned security around the department when the bags left the Bank. Katuntu told Adikot never to use Police Standing Orders to escape from responsibility after “stealing items from the Central Bank”. “The actions of you carrying the bags were personal, the person seen carrying those bags is you, not Bagyenda. You are going to tell us what you carried, why you bypassed the security system. We want to know what luggage you carried, you don’t need permission from Bagyenda, you are going to take full responsibility of what you carried out of the bank,” Katuntu said. 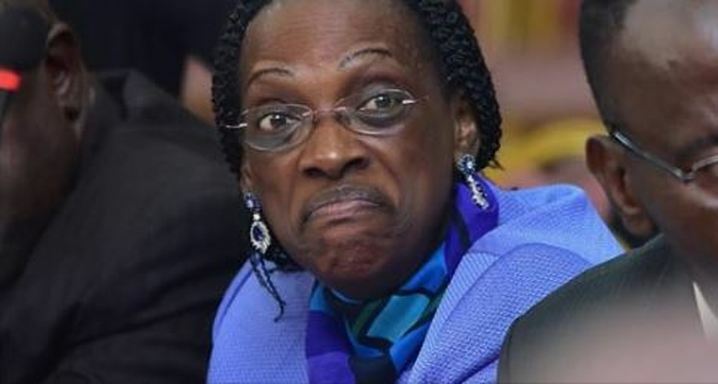 On Tuesday BoU admitted that Ms Bagyenda had stolen bags of documents from the Bank, ahead of her appearance before MPs last week.